If you are new to surfing and have always wanted to give it a go yourself or get your children to experience something different then this is the time. We are surfers who share with joy, our passion and connection to the ocean in a safe, fun and caring environment for you. 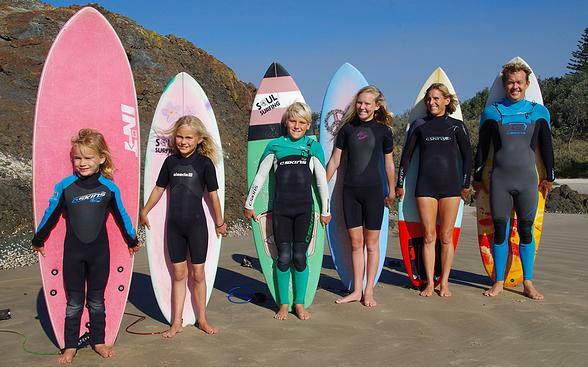 We create a family environment where a love of surfing and the ocean helps to teach hope, respect and balance. 10 lessons in the After School Surf program Term 1. These lessons will cover all the basics with ocean safety and simple surf skills and techniques. If some progress faster then we will cater for their abilities while maintaining group safety and fun. Surfboard, wetsuit, rashshirt, sunscreen and loads of fun. School pick up and afternoon tea as part of After school program.